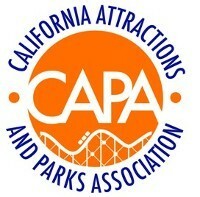 The California Attractions and Parks Association is the only statewide association that represents the permanent amusement park industry. The association was incorporated in 2003 and opened offices in Sacramento in February 2004. CAPA serves as the voice of the attractions and amusement industry, working closely with legislators and regulators on issues of regulation, tourism, and ride safety. CAPA is also the industry's information source, providing updates on ride inspections, reporting requirements, and legislation that has the potential to impact our industry. Our members include parks both large and small, from the famous theme parks of Southern California, which attract millions of visitors to small family-owned businesses found in communities throughout the state. The amusement park industry is the face of California tourism to the country and world. Our member parks are vital to their local economies, and to the state, providing the foundation of tourism and employment in dozens of communities. CAPA works closely with elected officials, government agencies, and the public to ensure our rides are safe, our parks hospitable, and the State's economy is strong.